The Greatness of SathyaNarayana Swamy is described in Reva Khanda in Skandapuram. Meru, the Lord of Hills performed penance and begot two sons namely, Bhadra and Ratnakara. Bhadra pleased Lord Vishnu with his penance and became the Hill Bhadrachalam in Andhra Pradesh in which Lord Rama resided on top of the Hill. 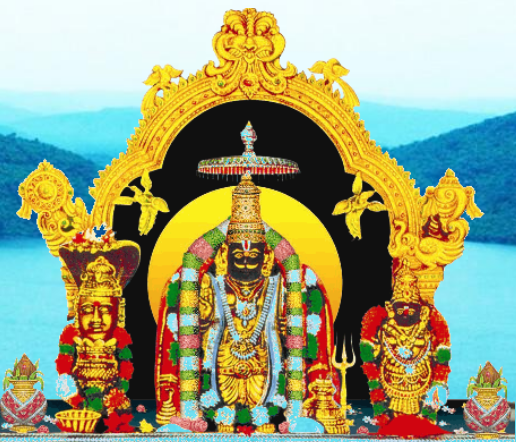 Similarly Ratnakara also performed penance and pleased Lord Vishnu to become the Hill Ratnagiri in which the Lord resided as Veera Venkata Sathyanarayana Swamy. Since this place was known for constant free food distribution by benevolent people of the Locality, this place came to be known as Annavaram (Anna means food in Telugu). 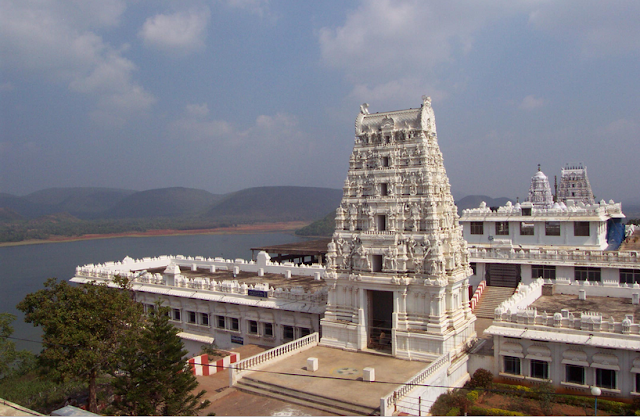 There are also Temples for Lord Rama, Vana Durga, Kanaka Durga and Grama Devatha Nerellamma at the foot of the Hill. The Rama Temple was the place where the original idol of Sathyanarayana Swamy was discovered by devotees. Lord Rama is considered to be the Kshetra Palaka of this Temple. 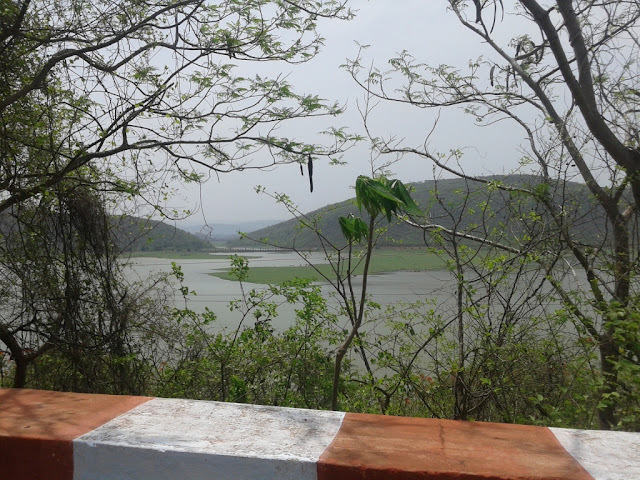 It is said that one Brahmin of the village by name Earanki Prakasam had a dream in which the Lord appeared and told him about the Sathyanarayana Swamy Vigraham/Idol that was left abandoned in the Hill. The Brahmin informed the same to the Zamindar and both of them traced the idol on the hill and worshipped it. It was installed in the Present spot as per Indian Panchang day-Sravana Suddha Vidiya of Khara Year 1891 AD. Initially a small shed was constructed and later with the help of the villagers a Temple was constructed. The image of SathyaNarayana Swamy is in a single idol representing the Trimurthis-Brahma, Vishnu and Siva. Anatha Lakshmi is to his Left Side and Lord Shiva in Linga Roopa is on his Right Side. The Temple is constructed in Two Floors and the Ground Floor Houses the Srimathripathvibhuthi Vaikunta Maha Narayana Yantra. The Ground Floor has the Peetham of the Lord and is known as Pada Darshanam. On the Four Sides of the Yantra are the four deities namely Ganapathy, Suryanarayana Swamy, Bala Tripurasundari and Lord Shiva. The Four Deities along with Narayana in the form of Yantra constitues the Panchayathanam or Important Worship of Five Deities. 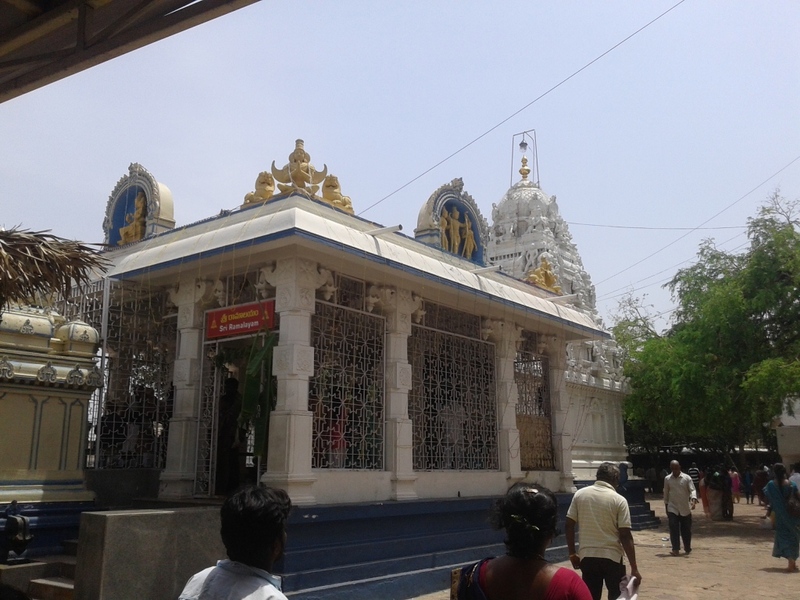 The First Floor Houses Anantha Lakshmi Sametha SathyaNarayana Swamy. 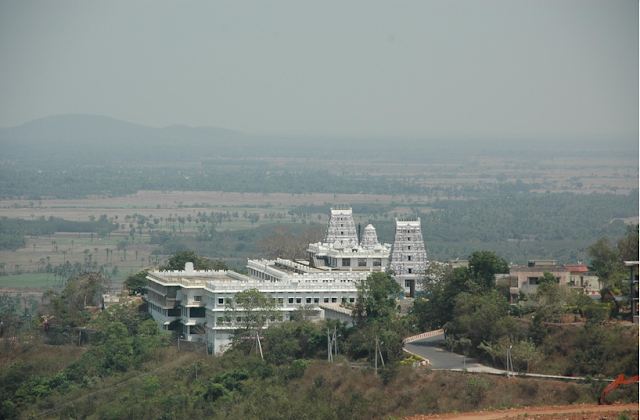 Hence this Temple attracts both Shaiva and Vaishnava Devotees. Once Sage Narada was distressed by the misery of men in the world and sought a solution for the same to Lord Vishnu. Lord Vishnu told him that performing Sathyanarayana Pooja would relieve men of their troubles and also enable them to attain Salvation after death. 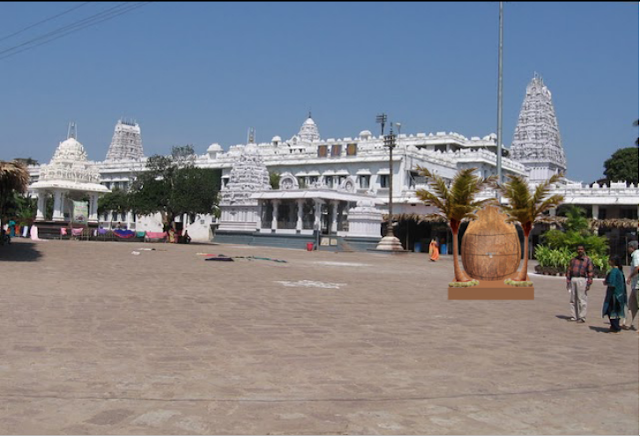 Annavaram Temple is famous for the Sathyanarayana Swamy Vratham being conducted on a daily basis by Thousands of Devotees. Couples perform SathyaNarayana Swamy pooja to a Kalasam. 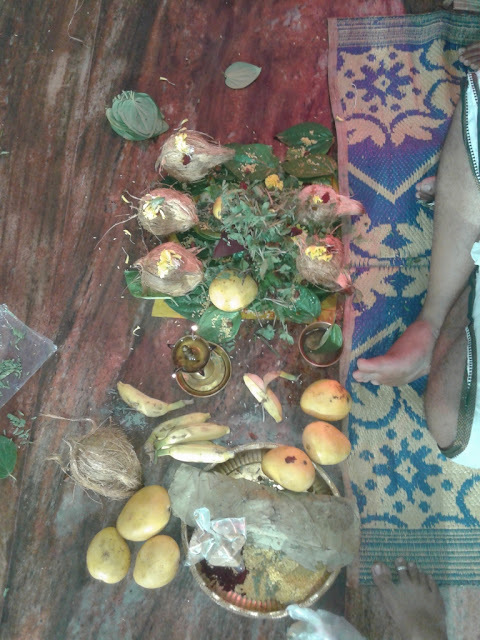 The pooja articles comprising of Coconuts, Lamp, Tulsi Leaves etc. are given to them after procuring tickets. 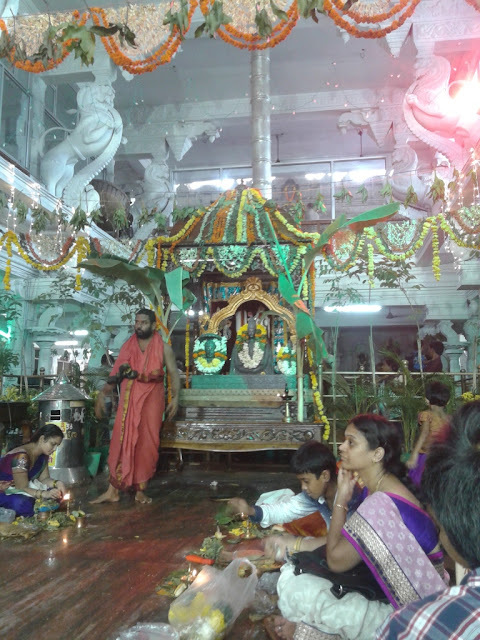 The SathyaNarayana Ashtotaram is also recited during the pooja. The Sathyanaryana Swamy Vratha Katha is recited by the Priest to them. They are asked to partake the Prasadam which is a sweet item made of Wheat after the pooja. There are various categories for the same i..e..the Rs 300, Rs 700 and Rs 1500 category.